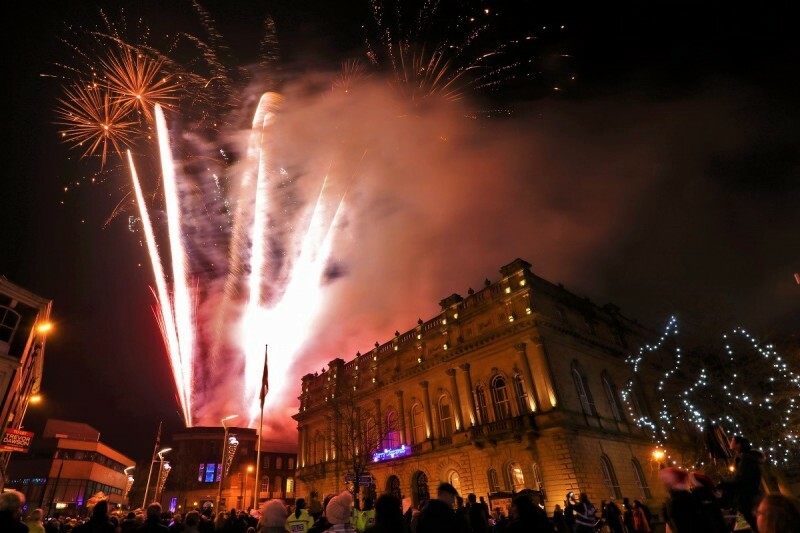 Blackburn with Darwen Council in partnership with Blackburn BID have announced a packed programme of festive fun for Christmas 2018 kicking off with the Christmas Lights’ Switch On Show on Saturday 24th November 2018. Blackburn’s BIG Christmas, sees a Christmas Market take over Cathedral Square stuffed with food, drink and entertainment. The four-week market will bring traditional log cabins to the new event space behind the Cathedral and will be open 7 days a week from Thursday 29th November. 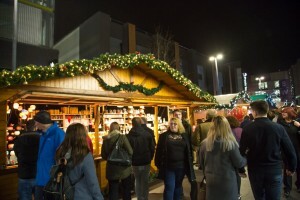 It’s the first time Blackburn has hosted this style of market which will also see late night openings from Thursday and into the weekend for visitors to enjoy some warming Christmas evening fun. The Blackburn Christmas Parade with magical princes and princesses, mischievous elves, giant stilt walkers and, of course, an appearance from the main man himself, Father Christmas, will add some Christmas sparkle to the town centre with an enchanted finale in Cathedral Square. A new event to Blackburn will see hundreds of ‘dashers’ suit-up as Father Christmas for a family-friendly charity Santa Dash around the town centre. People of all abilities are invited to take part, including experienced runners, beginners taking on their first 5k challenge or a family looking to get active – this event is open to all, including your dogs! The speedy Santas will be raising funds for the NW Air Ambulance. The Blackburn Festival of Light returns on Saturday 15th December and will see hundreds of lanterns paraded across the town, with dazzling drummers, fire performers and incredible illuminated structures. People of all ages are encouraged top take part in lantern making workshops taking place in the run up to the event in locations across the town including Blackburn. The parade follows the Annual Community Carol Service at the Cathedral and ends with spectacular performances and fireworks at the Town Hall. Visitors will also be able to enjoy a unique Light Installation inside the Cotton Exchange building. The Christmas events are being supported in partnership with Blackburn with Darwen Borough Council, Blackburn Businesses Improvement District and The Mall. For the full Blackburn BIG Christmas programme, people can find all the details on visitblackburn.co.uk and all the main town centre social media accounts. This free event hosted by Rock FM, kicks of the winter festivities in style with live music and activity culminating in the illumination of the trees and lights across the town. Come and join in a lantern making workshop with a professional lantern artist to create a beautiful paper and willow lantern for the Lantern Parade on Saturday 15th December. These sessions are open to all, suitable for age 5-95, and are free, though there is a suggested donation of £3. Not compulsory to come with a child!! This is a messy gluey activity, so please wear suitable clothing. Make an individual lantern to take home after the parade or get together with a group to create a giant lantern as a group. Finish in a day or come back each week. Join Gillian Burns, community dance artist to explore ways of moving in the parade and to create a piece of community light up dance to showcase at the festival of Light! Must be available to participate on Saturday 15th December Open to adults and children, dancers and non-dancers. Free to attend. Nov 29th – Dec 23rd – Blackburn Christmas Markets – Cathedral Quarter – 10.30am – 6pm, 7 days per week. In addition to our fantastic indoor market, this year will see the debut of Blackburn Christmas Markets. With a Bavarian Village feel and authentic German chalets nestled comfortably within our award-winning Cathedral Quarter. It will be bustling with stalls selling novelty and craft items, as well as boasting a delicious food and drinks offer, music and attractions; making the markets a place to meet with friends for lunch or to unwind after work, as well as a place for some serious Christmas gift buying. Blackburn Council in partnership with Pop Up Entertainment invite you to Blackburn’s Christmas Parade. With a collection of festive themed Princes and Princesses, cheeky elves and of course Father Christmas, the people of Blackburn will have the opportunity to start the festive season with a bang! This will be a magical festive experience for all the family. Join Show & Skate for a magical retelling of the classic story, Cinderella – fairy Godmother, glass slippers, carriages made up of pumpkins and other such delights await on the ice. Ho ho ho…hold on to your Santa hats as you dash around the streets of Blackburn! If you’re an experienced runner looking for some festive fun, a beginner taking on the 5k challenge or a family looking to get active – this event is open to all, including your dogs! Take part have fun and enjoy the warm fuzzy feeling of helping others this festive season. All money raised this year will go to the North West Air Ambulance Charity, who help to save lives. £10 adults, £5 children, under 5’s and dogs are FREE! This festive event is a popular one, book early to secure your place. For more information and to register, visit: https://nwaa.net/event/blackburnsantadash. All are welcome to this firm, festive favourite for all the family to enjoy. Dec 17th – Nine Lessons and Carols for Schools Blackburn Cathedral, 6.30 – 8.00pm, all welcome. The Cathedral’s Main Carol Service, sung by the Cathedral Choir. Free, fun-filled fright fest kicks off at The MallSmall Business Saturday begin their bus tour in Blackburn!